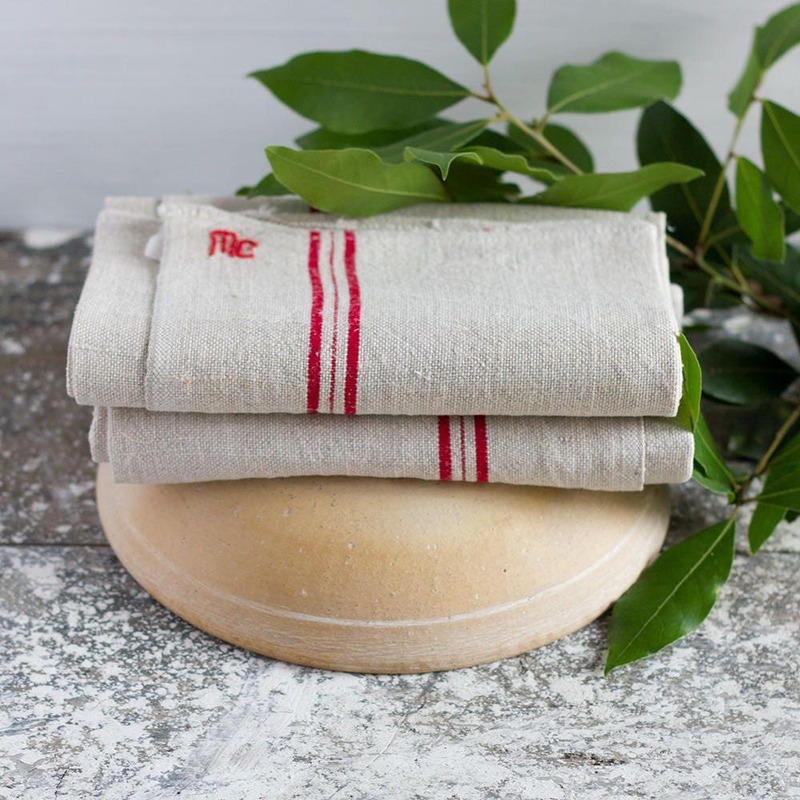 I love these beautiful, rustic hand woven kitchen towels for so many things - wrapping warm bread, on the table as a runner, as hand towels. They add instant character anywhere! The slightly rustic woven texture of these makes each one unique. 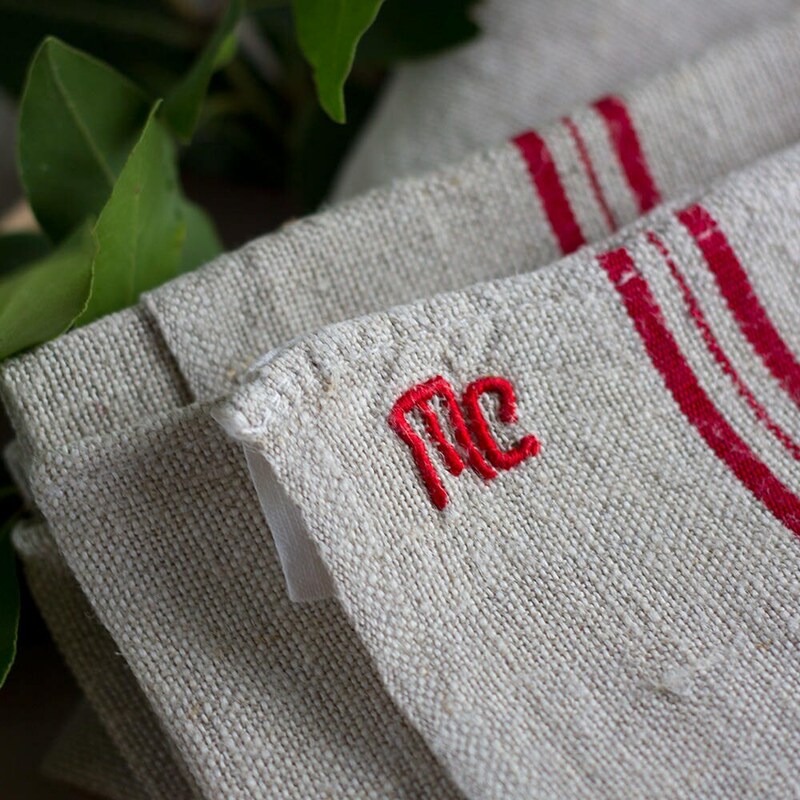 Each sports the classic red stripes down the side, hanging loops, and is embroidered with a 'MC' in a deco inspired typeface. 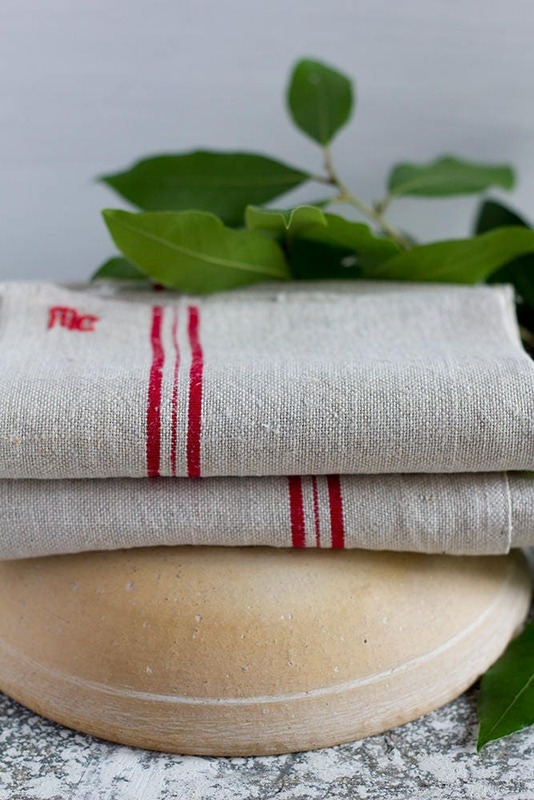 These towels have been washed with a gentle, perfume-free laundry soap and line dried under the sun of the South of France. These pieces wear their history like all vintage pieces which only adds to their story. 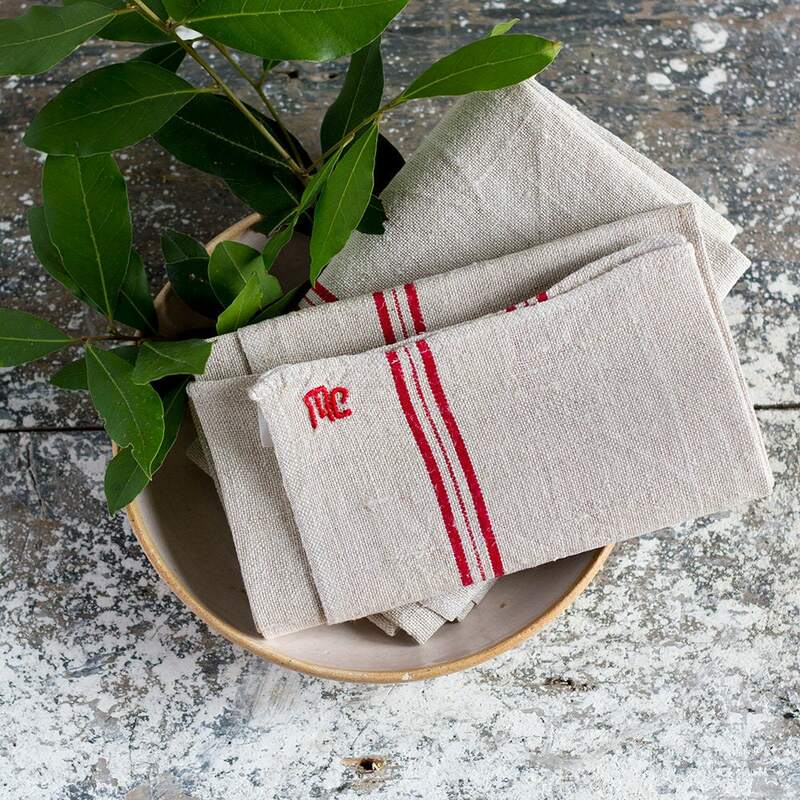 These towels are in perfect condition with no tears or stains.